The Ash is a lovely detached three bedroom home with an integral garage and parking space. 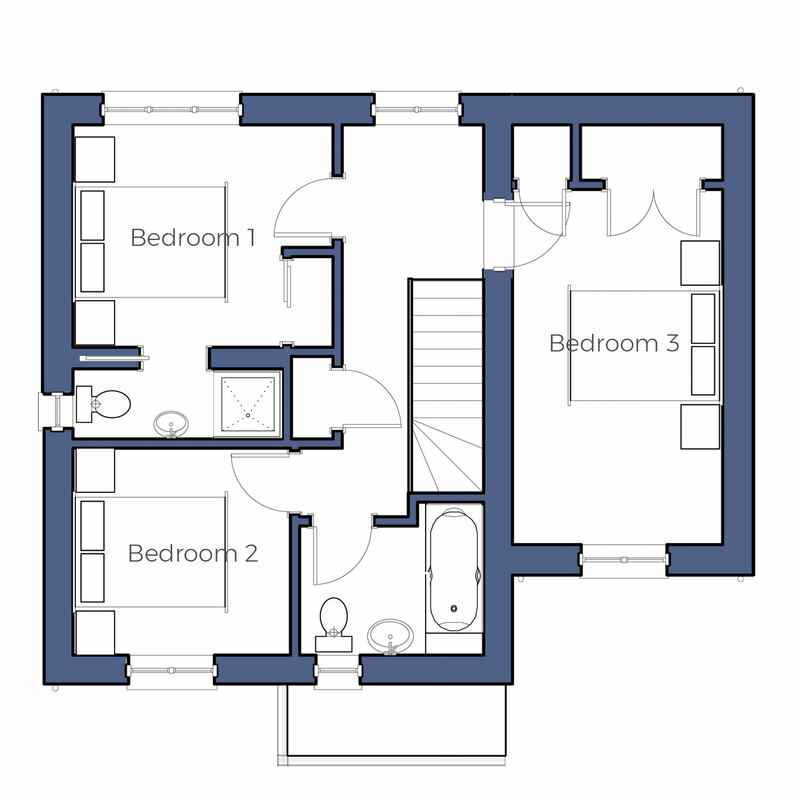 The ground floor comprises a kitchen/dining room with patio doors opening out onto the garden, good-sized lounge and cloakroom. 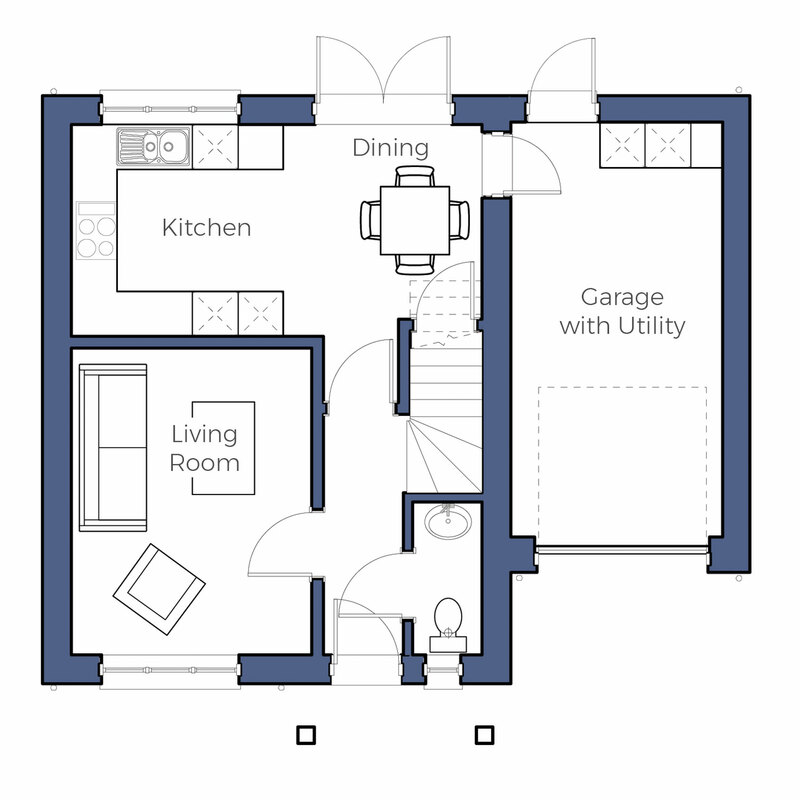 The first floor offers a master bedroom with ensuite, two further bedrooms and family bathroom.